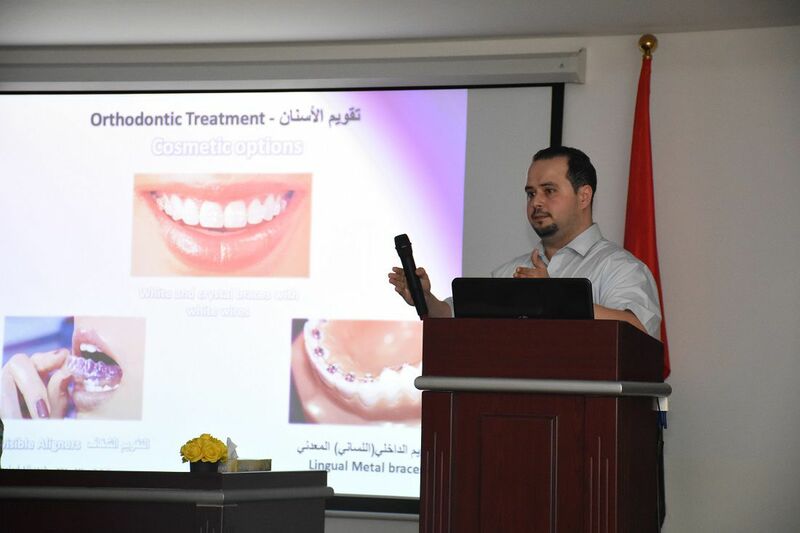 Home News > Lecture about "1st step for perfect smile"
Lecture about "1st step for perfect smile"
The Unit for Student Affairs of Al Falah University in collaboration with Aquacare Medical Center conducted a lecture entitled "The first step to a full smile"
Lecture was delivered by Dr. Khaled of Aquacare Medical Center and in which he discussed the importance of teeth in order to have a beautiful smile. 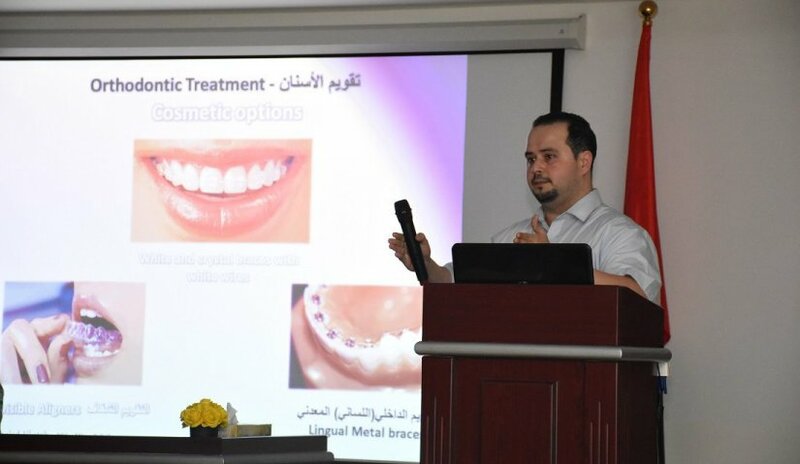 He explained the reasons that help in aesthetic dental treatments to beautify the patients. The visit comes within the framework of the university's keenness to open relations with many health and scientific institutions that benefit all university students. In the end, the Medical Center welcomed the collaboration with Al Falah University and offered to provide all facilities to the Al Falah family, whether students or teaching and administrative staff.